You must be a member of the Tbilisi Cinema and Theatre Group to attend this activity. Would you like to join this group? Protected content present Laurent Tirard's "The Return of the Hero" Protected content . The Return of the Hero is a comic French film directed by Laurent Tirard , released in Protected content . 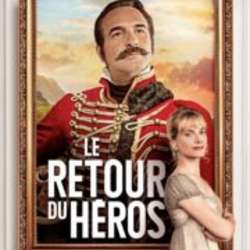 Located in France during the Napoleonic wars, the film tells the story of a cowardly and seductive soldier, Captain Neuville (played by Jean Dujardin ), who finds himself transformed into a hero thanks to a cunning of Elisabeth ( Mélanie Laurent ), the sister of his young bride. Neuville takes advantage of the situation to become a real imposter, practicing the fabulous and the scam.